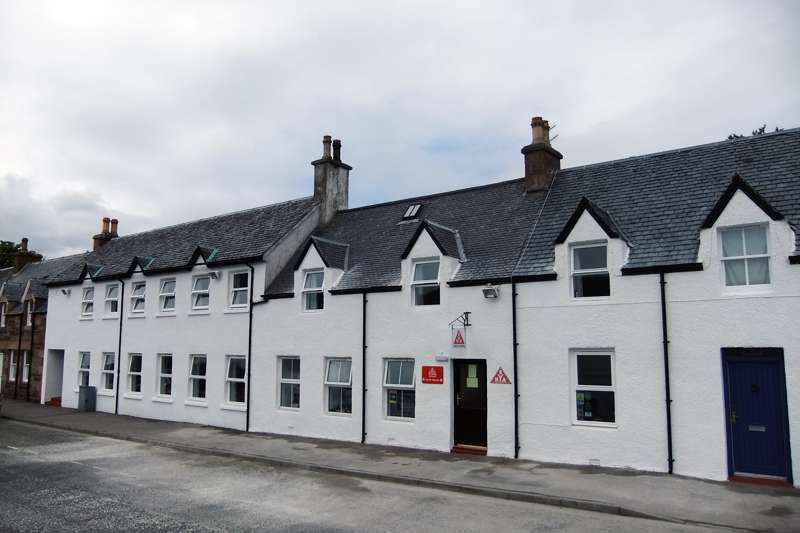 Traditional youth hostel perfectly situated for Ullapool and the surrounding mountains. It doesn't look much from the outside – just a row of converted terraced houses – but its seafront position on Ullapool's shore road is a site to behold: looking out over Loch Broom and the Beinn Dearg mountain, which stretch out far before you like nothing so much as a location from the Hobbit or Lord of the Rings. It's a fairytale location, and you could spend a week here doing nothing much else but watching the seals and fishing boats in the harbour, hanging out in the small but vibrant town of Ullapool, and taking yourself off for a hike into the hills, mountain-biking or sea-kayaking on the water. The good news is that if this appeals then there's no better place to partake of these activities, or just to do nothing, with a selection of multi-bedded and private en-suite rooms, a self-catering kitchen and dining room overlooking the sea, a laundry and drying room (very important!). You can take a ferry to Stornaway on the nearby isle of Lewis from here too, and Ullapool itself is a fabulous spot to mooch around for a while, with lots of good music pubs and a handful of restaurants. Highland Heaven, and no mistake. Total beds is 45, across dorm rooms, private and family rooms, some with en-suites. Beds from £20.50 for adults, £16 children. Private rooms from £29.50 per night. By car, you can find the hostel off the A835, on Ullapool sea front.